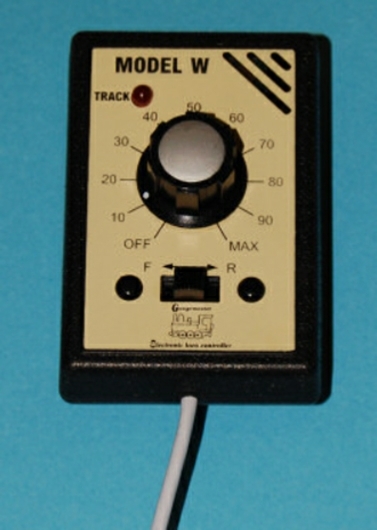 Single Track Walkabout Controller for 'N', 'OO' and most small Gauges. 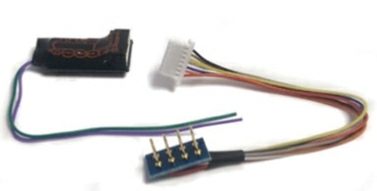 Input: 1 x 16v A.C. at 1.25 amps (Gaugemaster T1, M1 or 100M recommended, requires a GM75 6 Pin DIN Plug to connect to 100M, sold seperately). Output: 1 x 12v D.C. at 1 amp controlled. 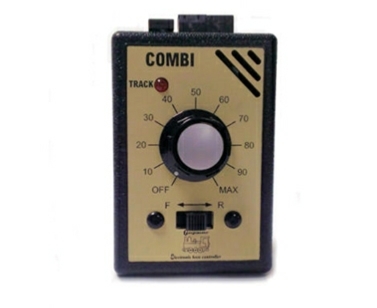 Single Track Transformer and Controller for ‘N’, ‘OO’ and most small Gauges. An uncomplicated controller which comes complete with a separate, dedicated transformer plugging directly into a wall socket with a 1.8m lead to plug into the controller. 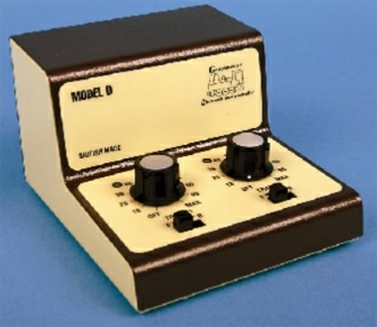 Single Track Transformer Controller for ‘N’, ‘OO’ and most small Gauges, with two accessory outputs. Twin Track Transformer Controller for ‘N’, ‘OO’ and most small Gauges, with two accessory outputs, this is the most popular unit in the Gaugemaster range. 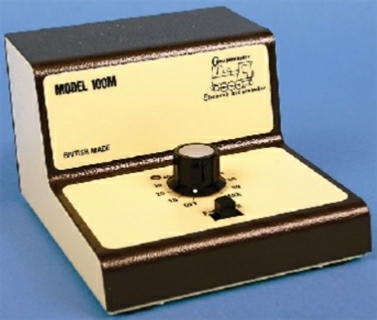 We stock a range of DC Controllers from 'train set' replacements to Cased and Panel Mount units. Most suited to N Gauge locomotives. Key features of this standard decoder include smooth operation, plug and play, transponder id-equipped, all mode programming, decoder reset CV, motor isolation protection, advanced consisting, 2 and 4 digit addressing. 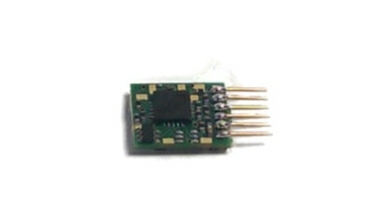 Motor rated at 1 amp (2 amp peak) with 2 functions at 0.5 amps and measures 10.6 x 8.7 x 2.86mm. Compact 4 Function 8 pin Loco Decoder. •Power Handling: 1.1A Motor Drive (1.6A peak), 4 functions - each 150mA, 200mA max. •Addressing: 2/4 digit, •Harness, 90mm overall length, removable 9 pin JST. •DC Enabled •Adjustment free Back EMF that will give perfect low speed control. 4 functions which can be remapped as well as directional or dimmed lighting, there are a dozen different lighting effects available.